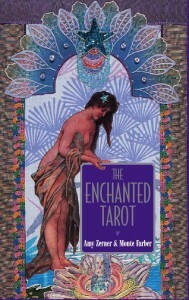 In the companion book three powerful aspects of understanding are provided for each card. These are under headings of ‘The Dream’, ‘The Awakening’ and ‘The Enchantment’. The Dream supplies detailed explanation of each card’s concept, The Awakening provides personal guidance and The Enchantment assists development to deal with the issue which might arise as a result of the choosing of the card. 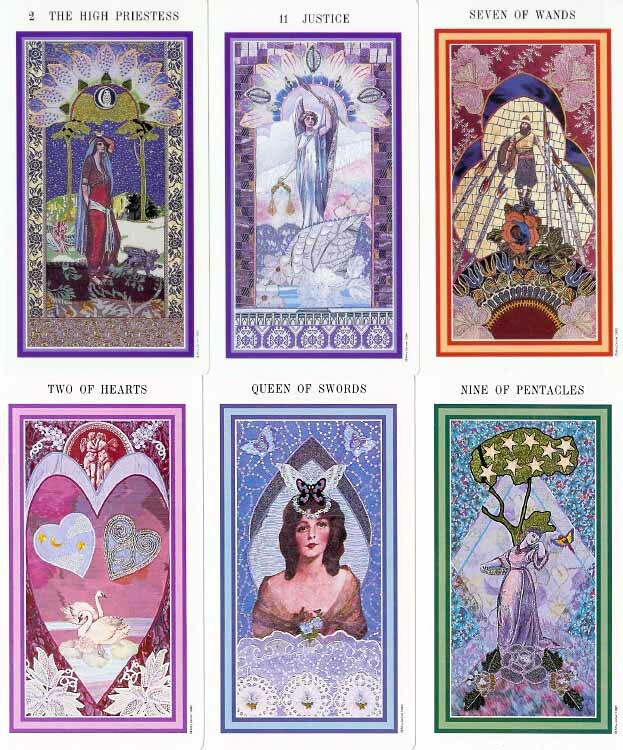 Information is given about the art and nature of divination (and these cards include the possibility of foretelling the future), how to prepare for the reading and how to interpret the cards using examples provided. 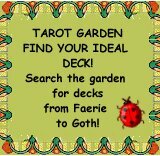 Various spreads are explained, including one card and three card readings and more detailed spreads for 11 card readings. I have chosen for my review The Three Level Spread. I am to visualise the question and ask for an answer on three levels and am instructed to shuffle seven times and cut, then pick three cards and lay them face-down from left to right, turning them over one at a time, the first to show the foundation of the matter, the next, a message describing the conditions or circumstances that have contributed to where I am now. The third and final card is to carry a message about the outcome. The first card therefore represents the Past, the middle card, the Present and the last card, the Future. If the outcome is not a desired one, draw one more card to obtain a future perspective which will be more advantageous. The three card spread can also be used to give information about the mind, body and spirit. My first card is the Three of Hearts (traditionally Cups) and is titled ‘Celebration’. The Dream depicts three dancers framed by a heart shape dancing in honour of love as they invite others to join them to eat and drink and make merry. They represent Faith, Hope and Charity, and offer sympathy for those unable to experience pleasure and sensitivity. Flowers and ripe grapes are crushed beneath their feet and friendship and fulfilment of love’s promise to heal is given to those who partake of the energy of this card. For The Awakening, I am instructed to celebrate joy, creativity and happiness and to have gratitude and share my good fortune with supportive friends. Work might suffer a little but it is an important time to grow emotionally. The Enchantment instructs me to gather friends together for afternoon tea and not to allow any inharmonious chatter to take place. Lift cups and make this pledge: ‘Merry meet and merry part and merry meet again, the dance of life’s more pleasing since I have you for a friend’. My second card is The Chariot. The Dream and the Warrior Maiden carry the spoils of war. She is Brunhilde and she triumphantly wins the race on her reindeer steed against formidable opposition. She carries her shield to symbolise the aggression which brought her victory. She has a good physique and a stern resolve, bravado and self-assurance, and she has suppressed all emotion but this will not serve her in all situations. Golden unicorns on the horizon represent her aspirations and these are where she is heading. The Awakening tells us that in order to triumph, we must take the reins of control and enlist other assistance in our quest. Right now, there is no room for emotion, just single-minded concentration on the goal. But as we grow, we need to remember to remove the frightening mask so we can be our true selves. The Enchantment offers us a space to close our eyes, see a strong, white light surrounding us, making us radiant with energy and health and strengthened within and without. We are to daily visualise the accomplishment of our goal and accept adulation. Power and determination lead us to victory! My third card is the Four of Swords, titled ‘Seclusion’, and depicts a Buddha sitting in meditation. Within The Dream is a place of stability and retreat from strife and anxiety and it is surrounded by a pyramid which creates healing. Clouds of confusion and the everyday world are parting and a time for recharging and grounding has arrived. The previous card of the Three of Swords is one of self-pity and attachment, and it is important to move on now, to detachment and protection. Cosmic forces are flowing to give insight when quiet retreat is achieved. The Awakening invites us to withdraw to a sanctuary, look inward, reflect, examine ourselves, accept, understand, receive guidance, be healed and renewed. The Enchantment is advice to sit still, spine upright, breathe deeply, in through the nose and out through the mouth until you are calm and focused. Amy Zerner’s art-work illustrates the archetypal stories and the healing energies of these cards. They are a magnificent collage of beautiful paintings and exotic fabric designs. 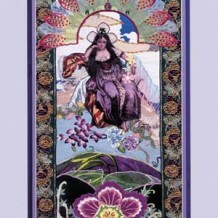 Her life partner, Monte Farber, has provided the card concepts and provides a wealth of interesting stories to touch hearts and minds with spiritual consciousness. This very successful couple have sold two million books which have been translated into fourteen languages. Their site: ‘The Enchanted World of Amy Zerner and Monte Farber’ provides much enrichment and enlightenment for all spiritual seekers. Delight and excitement await you!